Some of the attendees at the highly successful day-long workshop on Digital Marketing – Driving Revenue through the Web – run by Rosey Broderick on April 14th at Sandymout Hotel, Dublin. The fundamentals of digital marketing – planning a campaign; top tactics; goals and messaging; proven tools for Internet marketers. Components of search marketing – how search engines work; the difference between organic and paid search; rules of engagement. Creating a content plan – using blogs, social networks, partner sites; driving traffic through SEO and pay-per-click; direct email marketing; winning content; testing your site. Tracking methods – useful tools and tactics; metrics and measures of success; implementing and evaluating tracking methods. 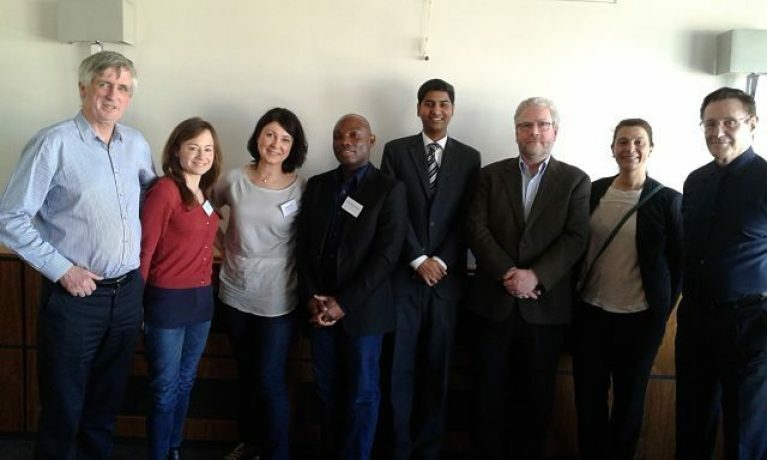 Pictured (L – R) are Tom Moriarty, IMCA: Lisa Deignan, Lionbridge; Gabrielle Coultry, UDG Healthcare; Ernest Obatitor, Crowne Plaza Hotel; Goutham Krishnamoorthy, Prospectus Strategy Consultants; Brian O’Kane, Oak Tree Press; Ana Claudia de Medeiros Marques, TEC Industrial and Brian Hamilton. Hamilton & Associates.